J.K. Rowling is not a prolific user of social media. She's on Twitter, yes, but she's hardly rambling her every thought into the ether like some of us are. This is what makes it all the more special when she does respond to tweets — especially when they might just indicate that J.K. Rowling spends her spare time searching Tumblr . 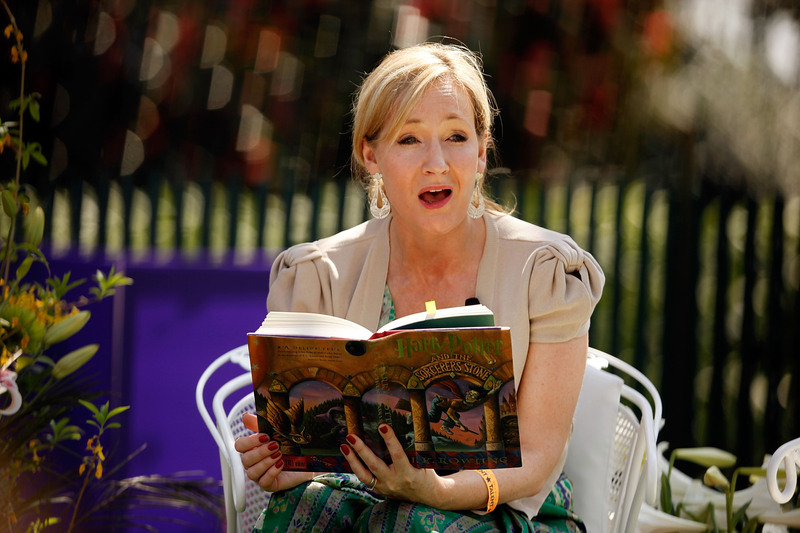 Who knows what J.K. Rowling does with her days? She's definitely doing a lot of charity work. She probably writes a lot — if she didn't she probably wouldn't have published two books since Harry Potter and the Deathly Hallows' release, one of which came out at first under a pseudonym. One can only hope she's also working on that Harry Potter encyclopedia she promised us ages ago (What is Wizard grocery shopping like? Are there birth control spells, or potions, or something else altogether? The people want to know, Jo!). Maybe (*holds in hope*) she's even scribbling some notes on a marauders prequel, though that seems too good to be true. *Sharp intake of breath* She's waaaatchiiiiing. Now, it's entirely possible Rowling got this obvious screenshot from Tumblr through some other means. She's got kids, after all, and I'm sure fans send her these things every day. But isn't it more fun (and terrifying) to think of her checking in on the current status of her legacy, scrolling through all the weird-but-beautiful headcanons and the freaky-but-beautiful fanart. Like a queen surveying her kingdom, really. And her kingdom's just as passionate (and madcap and beautiful and freaky) as it ever was. The woman sure did create something special.